Who we are, what we do! 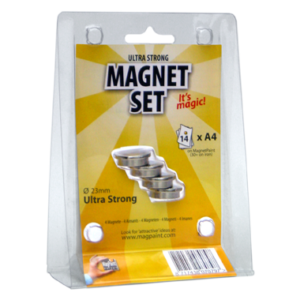 Magnetically receptive dry erase roll. 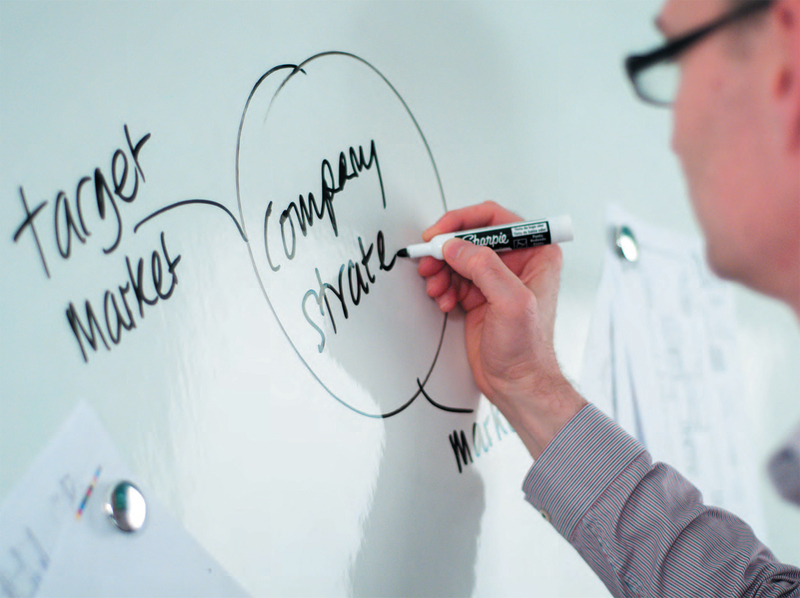 This versatile and easy to use product offers the perfect solution where a large whiteboard material is required to cover a large surface area. 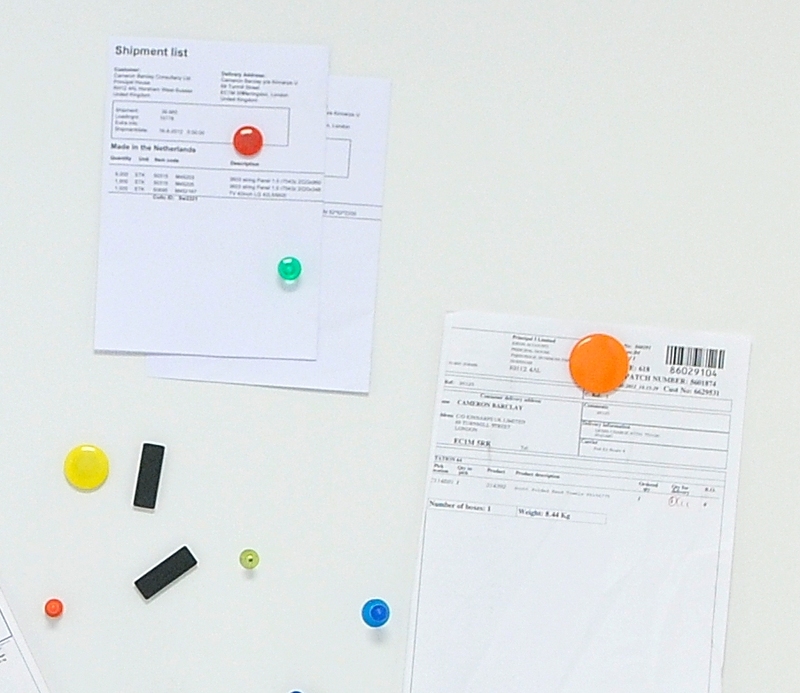 Magnetically receptive dry erase roll. 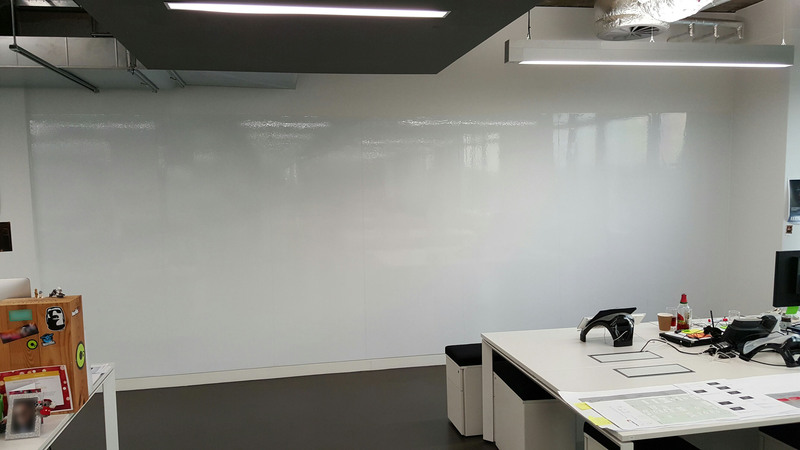 This versatile and easy to use product offers the perfect solution where a large whiteboard material is required to cover a large surface area. The product is has a roll width of 1m wide and is available in 1m x 10m roll size. 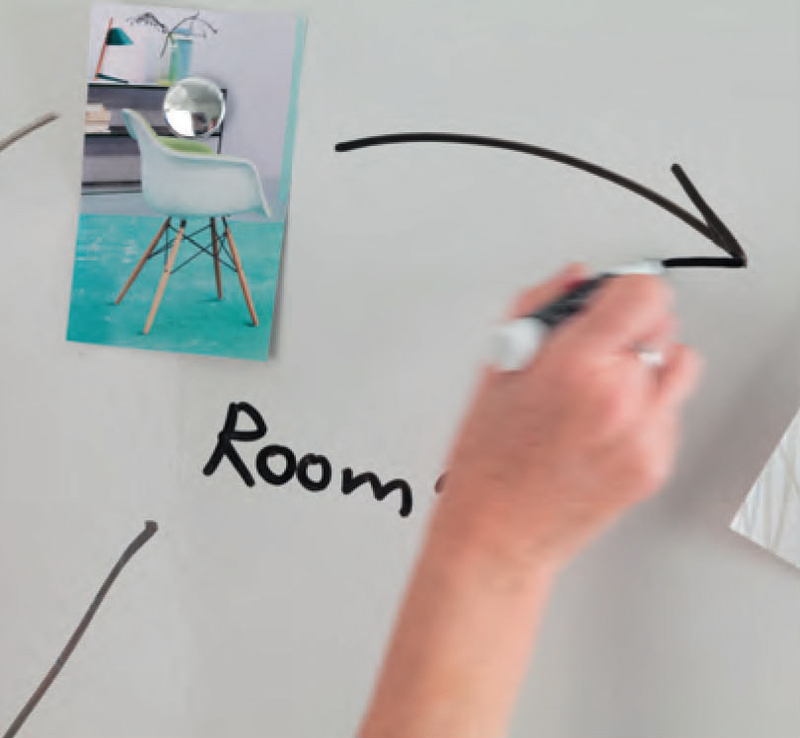 Supplied on a roll, and attached to the wall using adhesive, the magnetically receptive surface allows you to attach magnets and write on / wipe off with dry-wipe marker pens like a standard whiteboard, but is easy to install floor to ceiling, or across a room horizontally in one long run. Surface type: Dry erase marker surface with the ability to accept magnets. 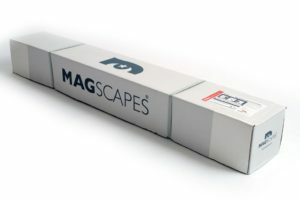 Unique ferrous powdered vinyl allows the surface to remain flexible, yet offers the user the benefit of using magnets. 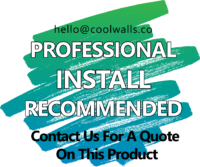 This product is installed as applying a standard commercial wallcovering. Please see Specifications tab for details. It can be hung horizontally or vertically, to allow for optimum writing area as required. The Flexi Sheet material should be applied using Flexi-sheet adhesive (see related items below). 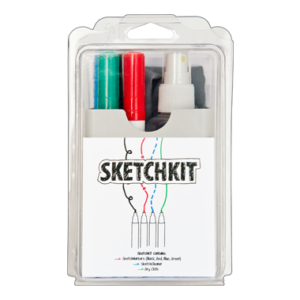 • To avoid residual marks, we also advise regular cleaning with White Board Cleaner. • Use non-abrasive cleaners. A household cleaner (eg Windolene) is acceptable. Rinse surfaces thoroughly with water after every cleaning. • Permanent markings may be removed with alcohol or by writing over the markings with a Dry Marker pen, then wiping clean. 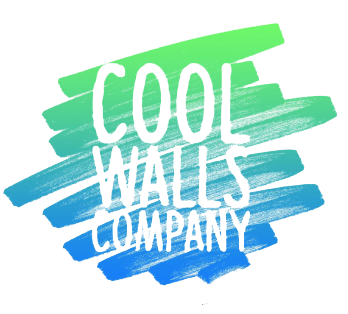 Copyright © 2019 The Cool Walls Company (UK) Ltd.